In November 2015, I completed NaNoWriMo for the first time. For those who don't know, NaNoWriMo stands for National Novel Writing Month, and it happens in November. The challenge is to write at least 50,000 words of a novel during the month, and if you do, you win! You don't win anything tangible, but trust me, knowing you've made it to the finish line is all the prize you need. Since then, however, I haven't touched my work. The Word document has sat nestled in its folder on my desktop gathering dust (pixels?) and watching sadly whilst I click anything but it. That doesn't mean that my novel hasn't been on my mind, though - I've thought about it so much. I know it needs a lot of work, and I know it isn't finished. The reason I haven't touched it isn't because I got bored, or because I didn't know what to do with it, but simply because I told myself that I mustn't start working on it again until I'd finished my A Levels, which have taken up most of my focus for the last year. Like I said, though, that didn't stop me from thinking about it. Thinking isn't the same as actually writing! That's okay, right? It didn't stop me from shopping, either. I bought a couple of books about the writing craft, and was gifted a few more on birthdays or at Christmas. I've said this before, but at some point in my early teens, I stopped wanting to be a writer, which had previously been my ultimate life dream. I lacked confidence, and being someone who struggles to write at length and always has done, I couldn't see myself ever being able to write a full-length novel no matter how much I wanted to. With NaNoWriMo 2015, the dream came back. I proved to myself that I could do it. So, whilst I couldn't actively work on my novel, I could still try to improve my writing in the meantime. 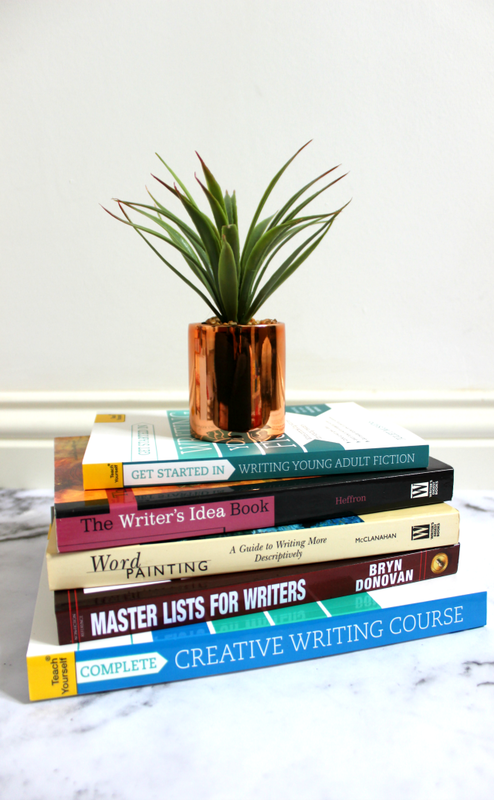 There are so many books on writing out there, and I know from scrolling down the Amazon search results that it's seriously overwhelming, so I thought it might help some of you if I shared the ones I thought looked best! Develop your powers of observation to uncover rich, evocative descriptions. Discover and craft original and imaginative metaphors and similes. Effectively and accurately describe characters and settings. Weave description seamlessly through your stories, essays, and poems. 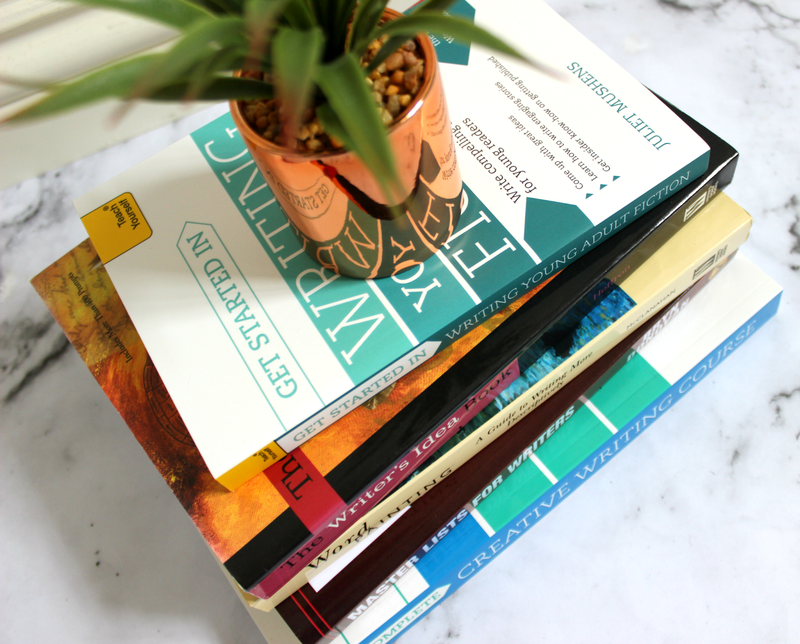 Do you have any book recommendations when it comes to non-fiction about writing? Great to read a post from you again. You did the 50,000 ! I was nowhere near - I hope that when you can you work ( and it is work ) on finishing your novel - even if the 1st novel is not published I hope you send it to me - and try again and if necessary again until you see your books on sale ! You are a fighter and although it may take a long time I am sure that one day we will see your published work. Stephen King's On Writing is wonderful, even if you're not a fan of his work. He talks a bit about his process and a lot about facing rejection and coming up on top anyway. Ray Bradbury's Zen in the Art of Writing is fantastic as well; lots of material on how he generates ideas and how he gets them onto paper. I also like Writing Down the Bones for shorter bits of wisdom and I have a few others on my to-read list. I just always have to keep in mind that advice is only as good as the use you put it to. I would like to say you have been a huge inspiration for me. Your blog has shown me how I can improve in many different ways and I don't mean to self advertise but I have recently started my own blog called AdviceFromMyLife - https://advicefrommylife.blogspot.com.au and I would love if you could read it and give me some advice on how to improve. Writing is truly one of my passions and helping others is one to so on this one I do both. All I can say now is keep up the great work and inspiring others.